Nowadays, more and more Harbour Masters in Italy are requiring marine tourism operators (not only charter companies but also private beach managers etc.) to take a long, hard look at how they do things, and take responsibility for their actions. 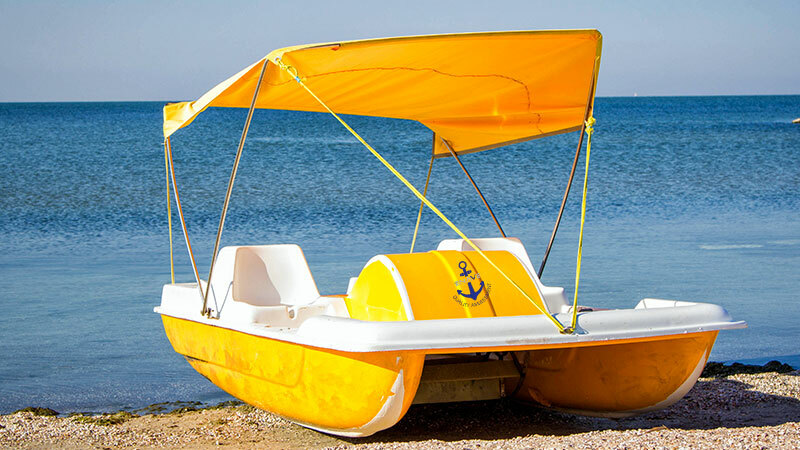 Now more than ever it is vital that such operators are aware of and conform precisely to safety criteria for bathing and sailing etc., which is leading to a revolution in the business of hiring out floating craft such as dinghies, pedaloes, kite-surfing equipment, rafts and banana boats. Although the fact that such craft have not been explicitly named in the EC directive 2013/53, and as such have no legal requirement for certification from Notified Bodies, operators should not be lulled into a false sense of security. Indeed, on a local level many harbour officials in Italy are starting to issue their own regulations designed to promote safety in the water, and ever more often these are starting to include craft powered by pedals or oars. This is why it is becoming increasingly risky to purchase such equipment; there are many pleasurecraft on the market that do not meet the new safety requisites, as they have not been checked by an expert technical team. Without legal certification of their craft’s design and construction, operators are in danger of exposing their clients to unsafe equipment, which may result in being sued for damages and even loss of life. It is therefore not only responsible but wise of manufacturers and operators in the marine and beach tourism sectors to call in the experts to thoroughly assess their craft. In fact, we have recently seen a steep rise in the number of purchasers seeking to have their suppliers’ floating equipment evaluated for safety before they buy, and a corresponding increase in the number of manufacturers anxious to have their craft certified by external professionals in the construction phase. If you are the manufacturer or operator of pedaloes, dinghies or other floating equipment, do not hesitate to get in touch. ENAVE would be happy to provide you with a quote, free of charge and without obligation, for thorough testing and certification of your pleasurecraft. Our experts have a long history of not only conducting post-construction testing and certification, but also flanking manufacturers in the design and construction phases of watercraft. For more information contact us: we will get back to you as soon as possible so that we can decide together how best to proceed. Please don’t hesitate to ask us about payment plans that you may be eligible for. ENAVE hosts RSG – the Recreational Craft Sectoral Group – in Ferrara ENAVE—World Sailing’s new offshore racing partner.